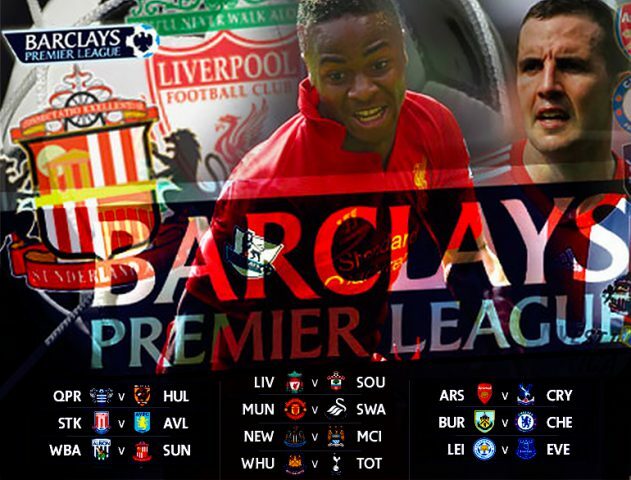 EPL WEEK 1 ROUND-UP: Arsenal, Liverpool, Chelsea, Manchester City win, while Manchester United get shocked by Swansea. The much awaited English Premier League kicked off this weekend, and what a start it was! Chelsea and Manchester City have most definitely proved that they are forces to reckon with this season. Liverpool were undoubtedly not missing Luis Suarez, while Arsenal and Manchester United still need a couple of more signings before the transfer window closes. A new manager took over during the summer, and everyone had high hopes from him. 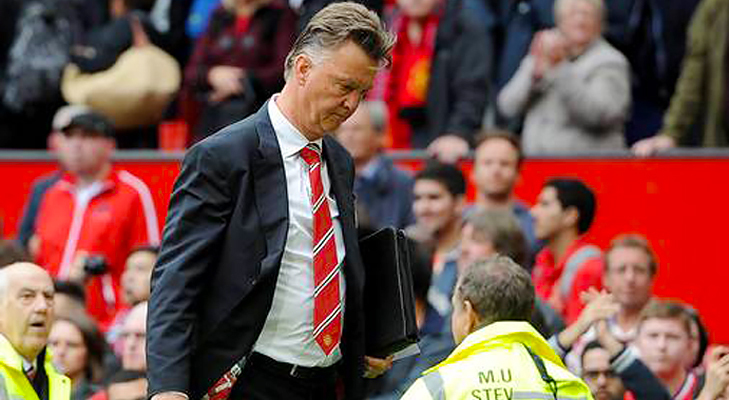 Louis Van Gaal, without a doubt, is a manager to be feared. He has an extremely impressive resume and no one would have expected him to lose the first game of his season. But Swansea had other plans. With just 28 minutes in, Ki Sung-yueng left the United defence helpless as he slotted Sigurdsson’s cross beyond David de Gea’s reach. Minutes before Swansea’s goal, debutant Jesse Lingard suffered an injured and was taken off, only to be replaced by Adnan Januzaj. Wayne Rooney’s goal in the 53th minute proved that Van Gaal’s 3-5-2 formation wasn’t really going for the Red Devils as well as it did for the Dutch national team. The newly appointed captain struck in a 25-yard free-kick to equalise for the home team, but sadly that didn’t last too long. Wayne Routledge’s mis-kicked shot fell into the path of Sigurdsson who slotted home the winner in the 72nd minute. 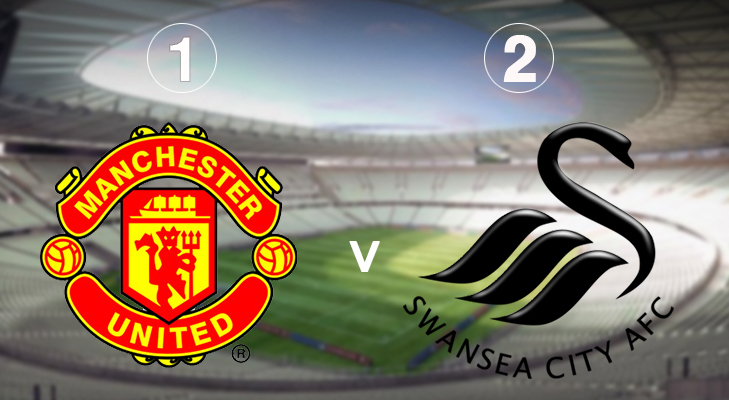 United were turned down a late penalty appeal and Swansea went on to win their first League game at Old Trafford. 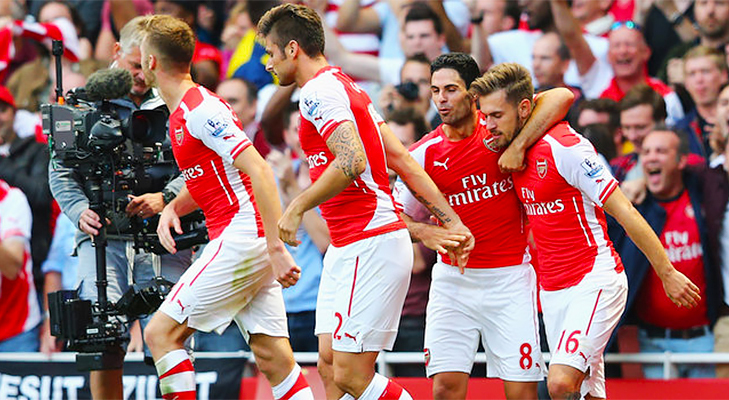 Aaron Ramsey scored a late winner to give Arsenal a win on the opening day. 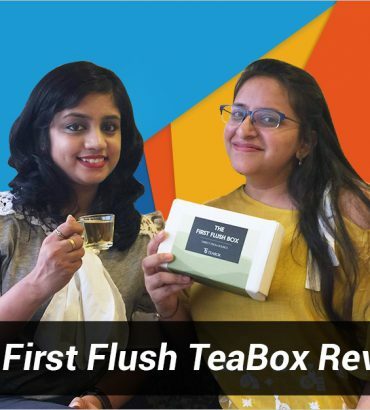 Amazingly this was their first in five years. Crystal Palace took a shock lead through Brede Hangeland in the 35th minute. Palace boss Tony Pulis quit just before the EPL began and caretaker Keith Millen guided them during the game. A Puncheon corner saw Hangeland tear away from Alexis Sanchez and Laurent Koscielny and shoot past Wojciech Szczesny at the near post. Just before half-time, a defensive error by Hangeland cost Palace their lead as he failed to mark Koscielny who slotted home a Sanchez free-kick into the bottom corner. The Crytal Palace defence continued to prove to be extremely difficult to break down and they were pretty decent with counter attacks too. Ex-Arsenal player, Marouane Chamakh had committed a series of fouls all afternoon, and was finally shown a yellow after he bashed into Jack Wilshere on the halfway line. With two minutes left on the clock, Puncheon was sent off after a second caution for a silly challenge on Nacho Monreal. 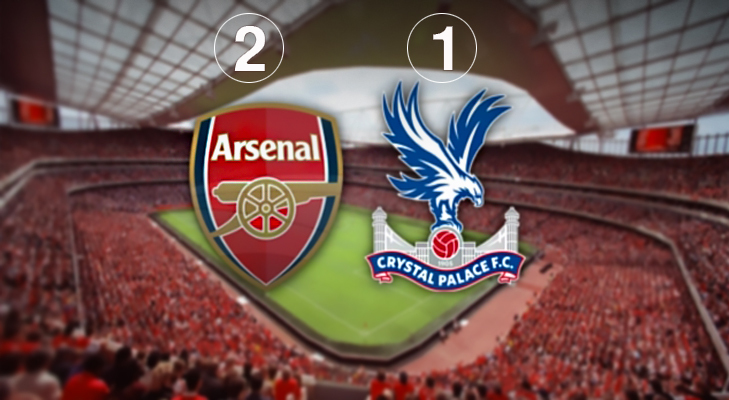 Ramsey smashed in the late winner on a rebound of Giroud’s shot stopped by Speroni, giving the Gunners a scary win. 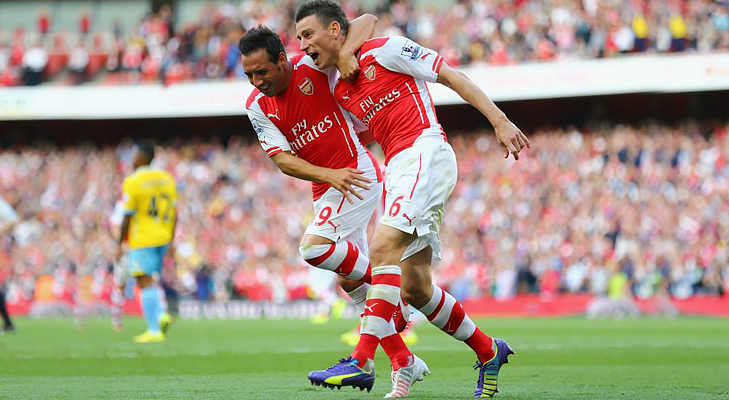 The defending champions opened their title defence with a tight 2-0 win at St. James Park. Manchester City left no time in launching an attack at the host’s goal and Tim Krul had a whale of time keeping Edin Dzeko’s shot out. Samir Nasri and Aleksandar Kolarov got close too, but Krul dived full-length to push Nasri’s shot away. Once the initial jitters wore off, Newcastle began getting back into the game with flashes from Remy Cabella and Emmanuel Riviere and a series of surging runs from Moussa Sissoko, but nothing much trouble Joe Hart. 38 minutes into the game saw David Silva slot home a perfectly timed back-heel from Dzeko. Coloccini and Williamson were both marking Dzeko who cleverly passed the ball to Silva who at the time was unmarked. It was no surprise that Silva exploited the space give to him and calmly netted the goal. The Magpies started the second half on a high with Yoan Gouffran seeing two shots blocked in quick succession. Substitute Perez had his shot deflected just wide of the far post. Sergio Aguero scored the winner for the visitors on a rebound when his initial shot was blocked by Krul, thus giving City a good start to their season. Raheem Sterling and Daniel Sturridge proved that they could score goals even without Luis Suarez and give Liverpool the three points, no matter what. Liverpool got off to a good start when just after 23 minutes, Sterling latched onto an inch-perfect pass from Jordan Henderson to slot home the goal. Southampton responded well as Morgan Schneiderlin, who probably had the best chance of the half, had his shot tipped over the bar by Simon Mignolet. 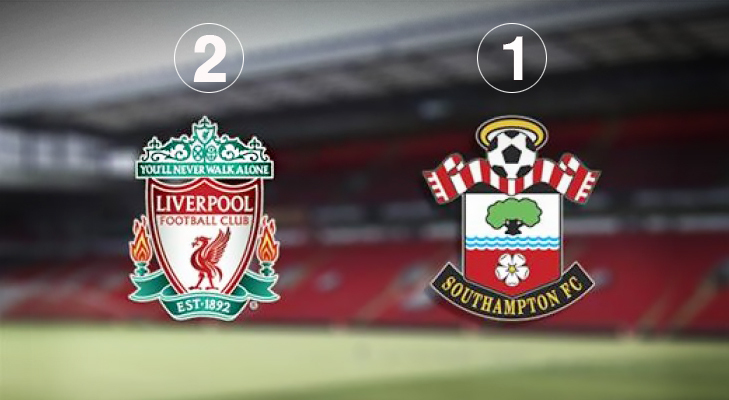 Nathaniel Clyne’s goal for the visitors was the goal of the match. He raced onto Tadic’s backheel to fire beyond Mignolet with an emphatic finish. 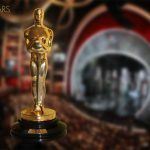 Sturridge scored the winner for the hosts thanks to a deft pass by Sterling, and there was nothing debutant goalkeeper Frazer Foster could do to stop it. 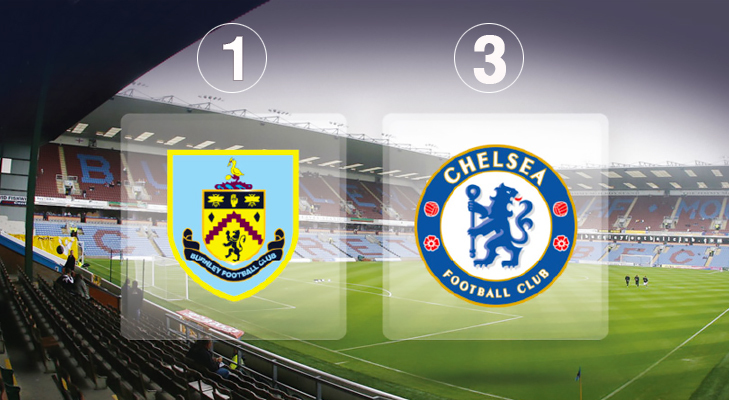 Burnley scored an early goal, but Chelsea survived the scare as they netted in three to win their opening game. Burnley’s Scott Arfield gave the home fans a lot to cheer about when he shot at the Chelsea goal and Thibaut Courtois failed to stop the shot. Their celebrations didn’t last too long as Diego Costa opened his Chelsea account by lashing the ball into the bottom corner after a perfect low cross by Branislav Ivanovic. Four minutes later, Germany man Andre Schurrle scored the goal of the game after having converted a fine through-ball by Cesc Fabregas to give the Blues the lead. The third goal one came soon as Ivanovic slotted home a goal from a Fabregas cross. Didier Drogba made an appearance in the final moments of the game, but Chelsea had already made its mark and has proved that they are the team to beat this season.